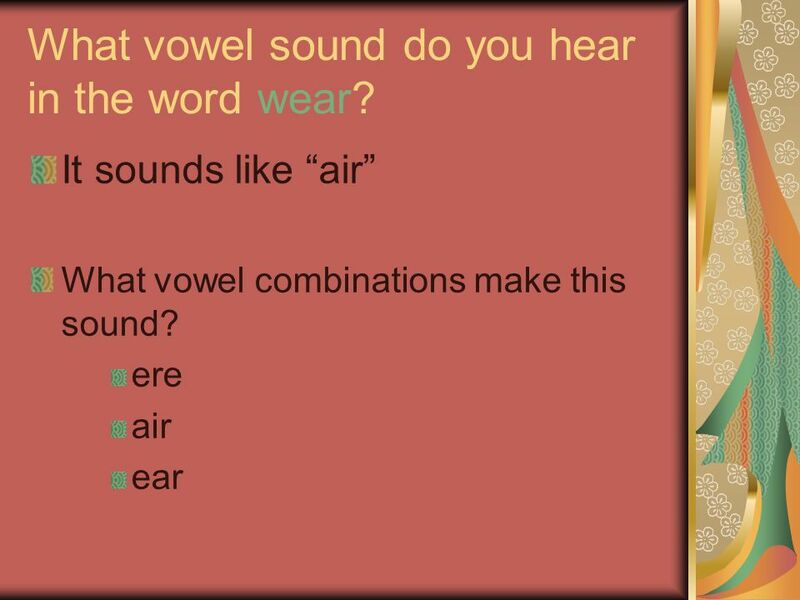 Working With Words “air” sound contractions compound words homophones. 4 Which of this week’s WWW are contractions? 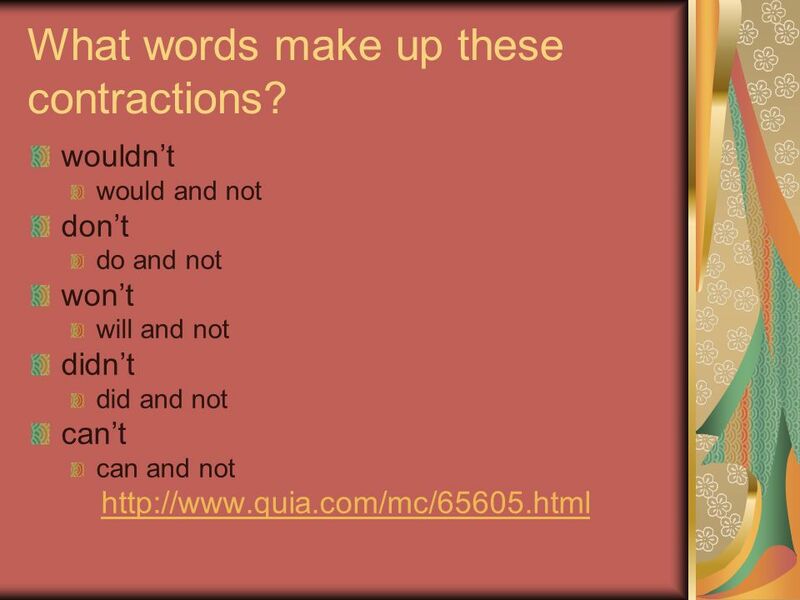 wouldn’t and don’t What is a contraction? 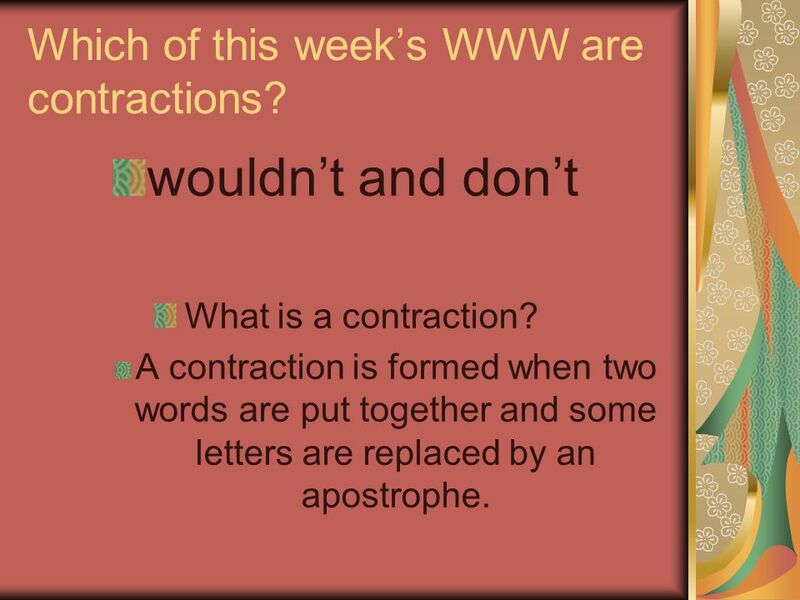 A contraction is formed when two words are put together and some letters are replaced by an apostrophe. 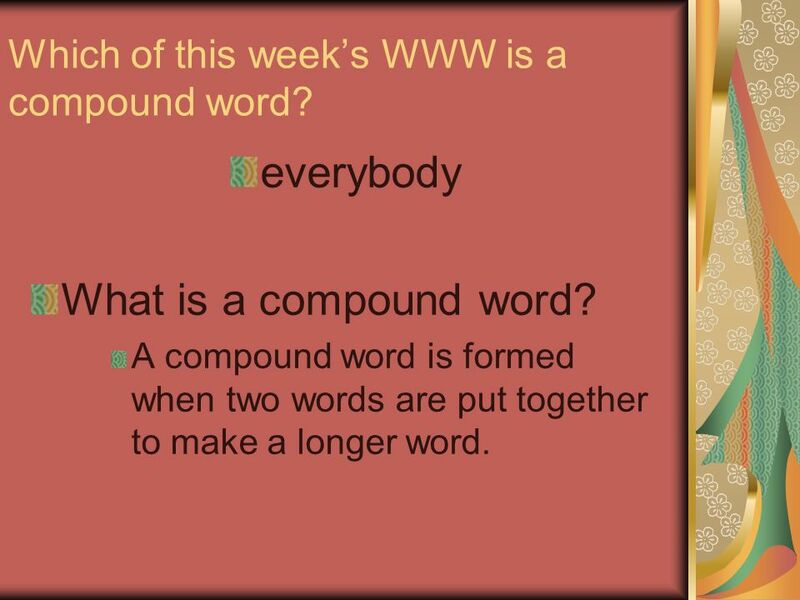 8 Which of this week’s WWW is a compound word? 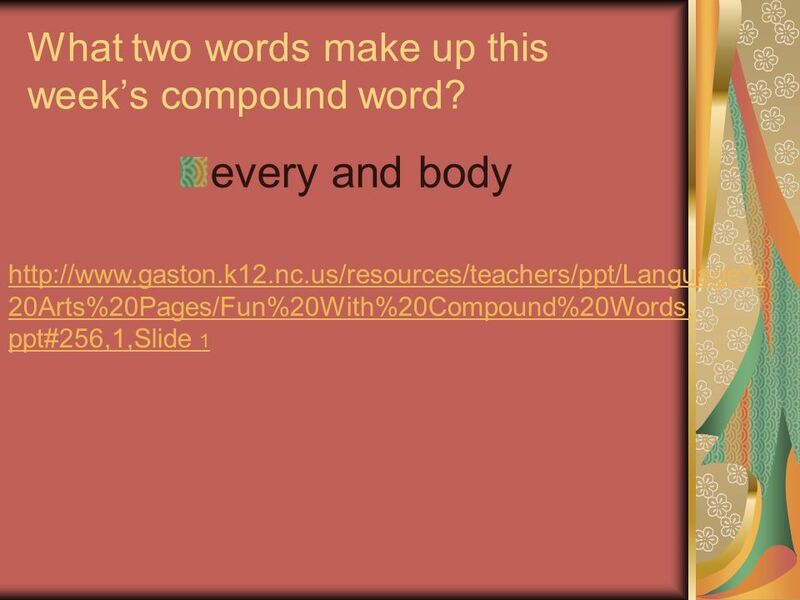 everybody What is a compound word? 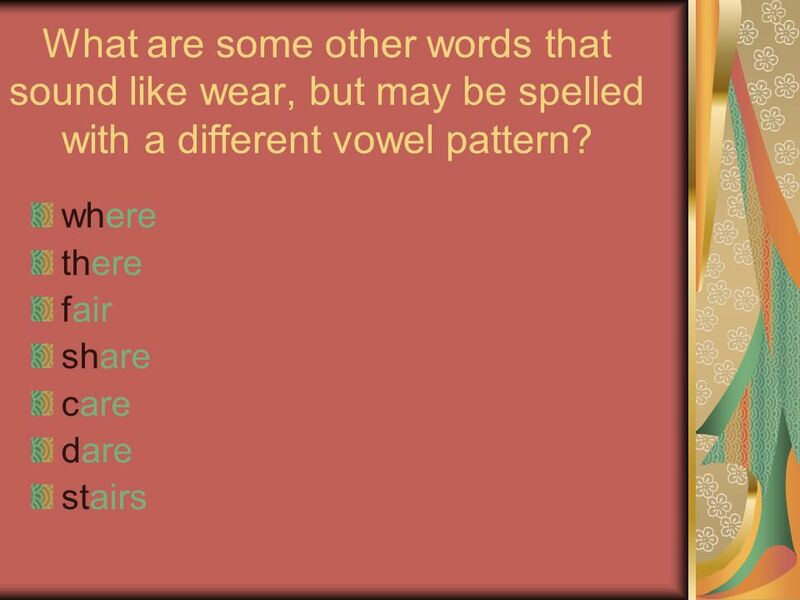 A compound word is formed when two words are put together to make a longer word. 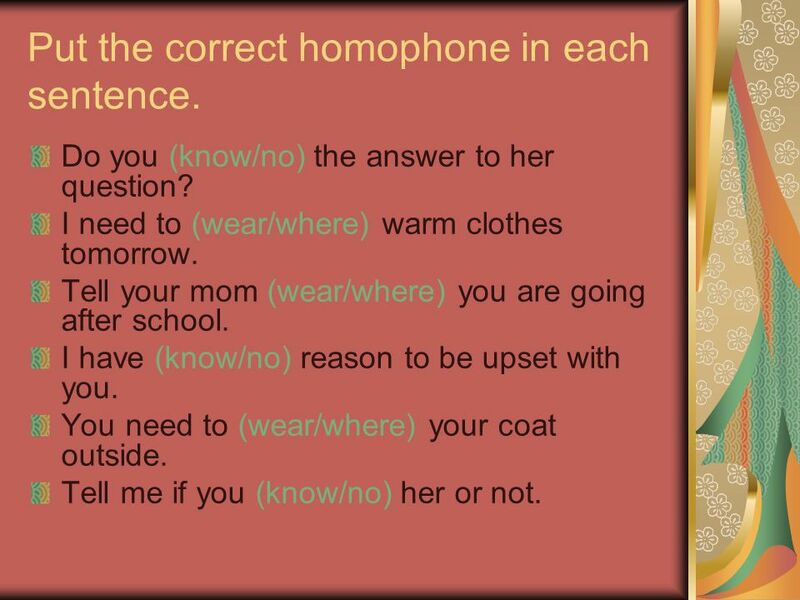 11 Put the correct homophone in each sentence. Do you (know/no) the answer to her question? I need to (wear/where) warm clothes tomorrow. Tell your mom (wear/where) you are going after school. I have (know/no) reason to be upset with you. You need to (wear/where) your coat outside. Tell me if you (know/no) her or not. 13 NICE JOB! Where will you go now that you know all the answers? 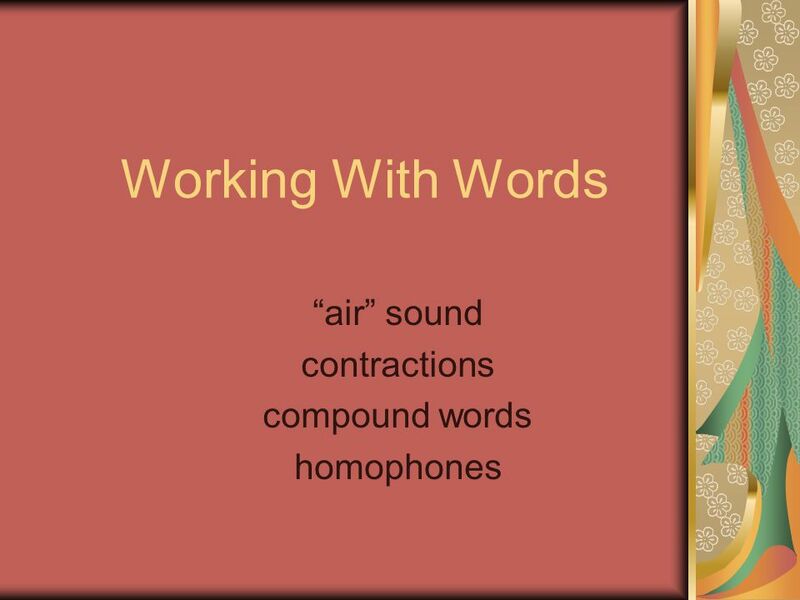 Download ppt "Working With Words “air” sound contractions compound words homophones." Classroom Game Creation Presented by: Catherine Dantin METC Conference 2002 Reported by: Becky Hicks. Modal Verbs Affirmative sentences Negative sentences Questions Directions: You will hear me say each model followed by sentences. The slide will be followed. Figurative Language Grades 4-5 Start activity!. This person is making ice cubes. The person is really cold. The person’s hands are hardening like ice. 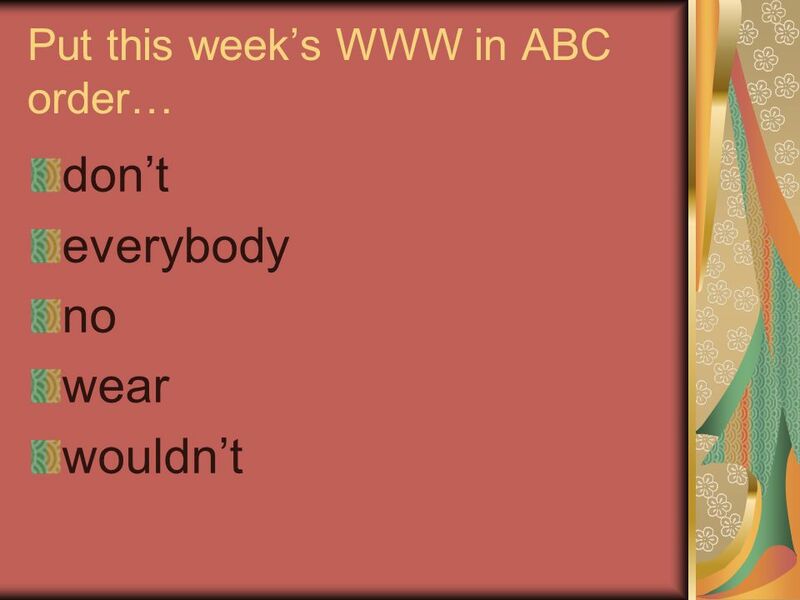 Apostrophes Apostrophes are used to: Shorten words Make something belong to someone. Contractions Make it shorter!. Objective  I will be able to properly use contractions in a sentence. Jeopardy VocabularyPhonicsGrammarEditing Random Q $100 Q $200 Q $300 Q $400 Q $500 Q $100 Q $200 Q $300 Q $400 Q $500 Final Jeopardy. Get Ready to Huddle! 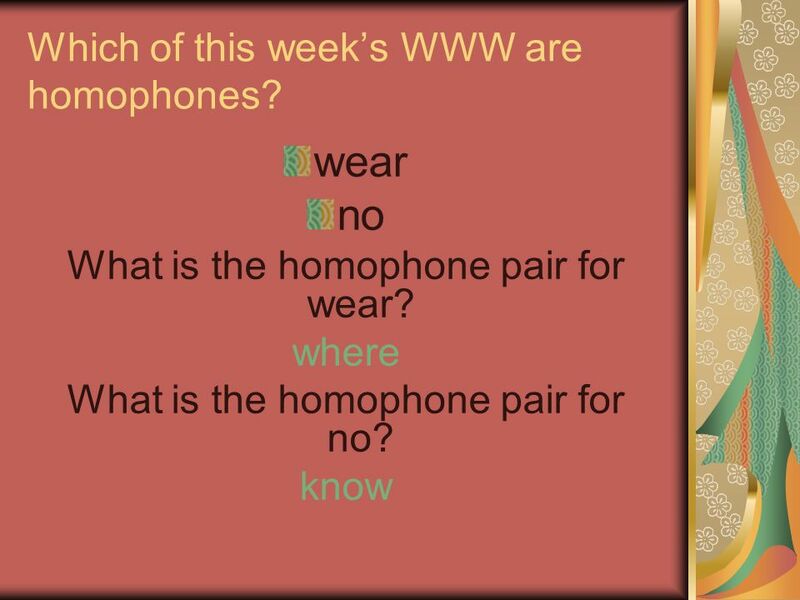 Discover Intensive Phonics (K - 3 rd Grade & SPED) Huddle 4 th Tuesday of each month at 2 pm MT Please Call Passcode. 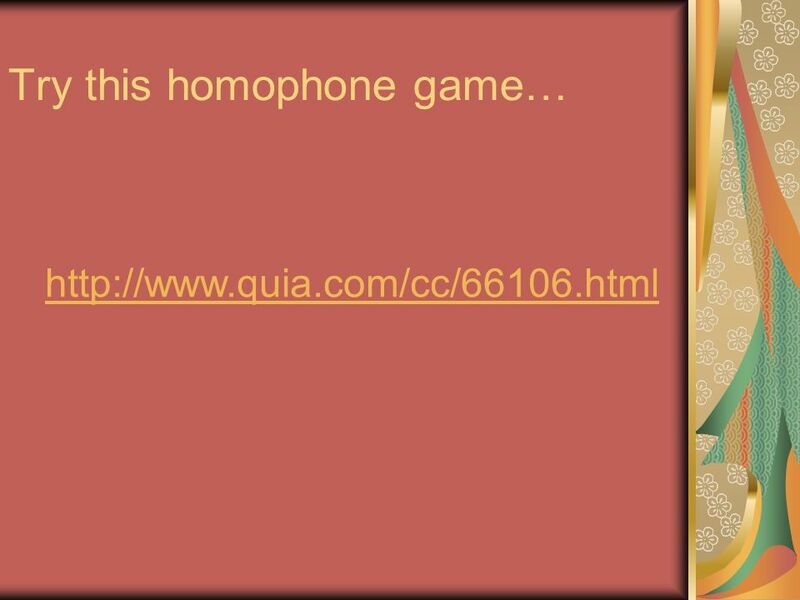 HOMOPHONES Words that sound the same but mean completely different things.